Maria Klawe is the president of Harvey Mudd College. Prior to joining HMC, she served as dean of engineering and professor of computer science at Princeton University. She also held positions at the University of British Columbia, IBM Research in California, and the University of Toronto, subsequent to earning her PhD in mathematics from the University of Alberta. Klawe is also a renowned lecturer and has given talks at international conferences, national symposia, and colleges across the U.S. and Canada about diversity in science, technology, engineering, and mathematics disciplines and industries, gender and gaming, and lessons from her own career in STEM industry and education. She has devoted particular attention in recent years to improving K-12 science and mathematics education. Dr. Klawe serves as a board member of the nonprofit Math for America, chair of the board of the nonprofit EdReports.org, a fellow of the American Academy of Arts & Sciences, a trustee for the Mathematical Sciences Research Institute in Berkeley and a member of the Canada Excellence Research Chairs Selection Board. Klawe is the recipient of numerous awards and honors, including the 2014 Women of Vision ABIE Award for Leadership and being ranked 17th on Fortune’s 2014 list of the World’s 50 Greatest Leaders. In 2015 she was honored with the Lifetime Achievement Award from the Canadian Association of Computer Science and the Achievement Award from the American Association of University Women, and she was inducted into the US News STEM Solutions Leadership Hall of Fame. She was honored by the Computing Research Association with the 2016 Distinguished Service Award. Moshe Y. Vardi is the George Distinguished Service Professor in Computational Engineering and Director of the Ken Kennedy Institute for Information Technology at Rice University. He is the recipient of three IBM Outstanding Innovation Awards, the ACM SIGACT Goedel Prize, the ACM Kanellakis Award, the ACM SIGMOD Codd Award, the Blaise Pascal Medal, the IEEE Computer Society Goode Award, the EATCS Distinguished Achievements Award, and the Southeastern Universities Research Association’s Distinguished Scientist Award. He is the author and co-author of over 500 papers, as well as two books: “Reasoning about Knowledge” and “Finite Model Theory and Its Applications”. He is a Fellow of the Association for Computing Machinery, the American Association for Artificial Intelligence, the American Association for the Advancement of Science, the European Association for Theoretical Computer Science, the Institute for Electrical and Electronic Engineers, and the Society for Industrial and Applied Mathematics. He is a member of the US National Academy of Engineering and National Academy of Science, the American Academy of Arts and Science, the European Academy of Science, and Academia Europaea. He holds honorary doctorates from the Saarland University in Germany, Orleans University in France, UFRGS in Brazil, and the University of Liege in Belgium. He is currently a Senior Editor of of the Communications of the ACM, after having served for a decade as Editor-in-Chief. In this talk I will discuss the problem of trying to learn the requirements and preferences of economic agents by observing the outcomes of an allocation mechanism whose rules you also don’t initially know. As an example, consider observing web pages where the agents are advertisers and the winners are those whose ads show up on the given page. We know these ads are placed based on bids and other constraints given to some auction mechanism, but we do not get to see these bids and constraints. What we would like to do is from repeated observations of this type to learn what the requirements and preferences of the agents are. Or consider observing the input-output behavior of some scheduling service, where the input consists of a set of agents requesting service, and the output tells us which actually received service and which did not. In this case, we assume the agents who did not receive service were not served due to overlap of their resource needs with higher-priority requests. From such input-output behavior, we would like to learn the underlying structure. Our goal will be from observing a series of such interactions to try to learn both the needs and preferences of the agents and perhaps also the rules of the allocation mechanism. This talk is based on work joint with Yishay Mansour and Jamie Morgenstern, as well as work joint with Michael Liang. Avrim Blum received his B.S., M.S., and Ph.D. from MIT in 1987, 1989, and 1991 respectively. He then served on the faculty in the Computer Science Department at Carnegie Mellon University from 1992 to 2017. In 2017 he joined the Toyota Technological Institute at Chicago as Chief Academic Officer. Prof. Blum’s main research interests are in Theoretical Computer Science and Machine Learning, including Machine Learning Theory, Approximation Algorithms, Algorithmic Game Theory, and Database Privacy, as well as connections among them. Some current specific interests include multi-agent learning, multi-task learning, semi-supervised learning, and the design of incentive systems. He is also known for his past work in AI Planning. Prof. Blum has served as Program Chair for the IEEE Symposium on Foundations of Computer Science (FOCS) and the Conference on Learning Theory (COLT). He has served as Chair of the ACM SIGACT Committee for the Advancement of Theoretical Computer Science and on the SIGACT Executive Committee. Prof. Blum is recipient of the AI Journal Classic Paper Award, the ICML/COLT 10-Year Best Paper Award, the Sloan Fellowship, the NSF National Young Investigator Award, and the Herbert Simon Teaching Award, and he is a Fellow of the ACM. The reconstruction of 3D scenes and their appearance from imagery is one of the longest-standing problems in computer vision. Originally developed to support robotics and artificial intelligence applications, it has found some of its most widespread use in support of interactive 3D scene visualization. We present an algorithm for creating high resolution anatomically plausible images that are consistent with acquired clinical brain MRI scans with large inter-slice spacing. Although large databases of clinical images contain a wealth of information, medical acquisition constraints result in sparse scans that miss much of the anatomy. These characteristics often render computational analysis impractical as standard processing algorithms tend to fail when applied to such images. Our goal is to enable application of existing algorithms that were originally developed for high resolution research scans to severely undersampled images. We introduce a generative model that captures fine-scale anatomical similarity across subjects in clinical image collections and use it to fill in the missing data in scans with large slice spacing. Our experimental results demonstrate the promise of the resulting algorithm in a context of large studies of neurodegeneration and acute stroke. 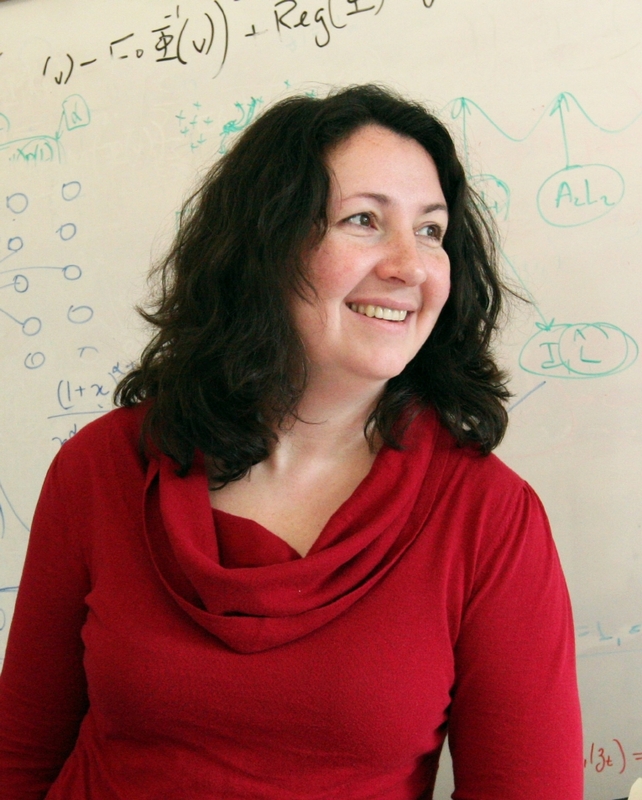 Polina Golland is a professor of EECS at MIT CSAIL. She received her Ph.D. from MIT in and her Bachelor and Masters degree from Technion, Israel. Polina’s primary research interest is in developing novel techniques for medical image analysis and understanding. With her students, she has demonstrated novel approaches to image segmentation, shape analysis, functional image analysis and population studies. Polina has served as an associate editor of the IEEE Transactions on Medical Imaging and of the IEEE Transactions on Pattern Analysis and Machine Intelligence and is currently serving on the editorial board of Journal of Medical Image Analysis. She is a Fellow of the International Society for Medical Image Computing and Computer Assisted Interventions. Deep learning has had enormous success on perceptual tasks but still struggles in providing a model for inference. To address this gap, we have been developing Memory-Attention-Composition networks (MACnets). The MACnet design provides a strong prior for explicitly iterative reasoning, enabling it to support explainable, structured learning, as well as good generalization from a modest amount of data. The model builds on the great success of existing recurrent cells such as LSTMs: A MacNet is a sequence of a single recurrent Memory, Attention, and Composition (MAC) cell. Its careful design imposes structural constraints on the operation of each cell and the interactions between them, incorporating explicit control and soft attention mechanisms into their interfaces. We demonstrate the model’s strength and robustness on the challenging CLEVR dataset for visual reasoning (Johnson et al. 2016), achieving a new state-of-the-art 98.9% accuracy, halving the error rate of the previous best model. More importantly, we show that the new model is more computationally efficient and data-efficient, requiring an order of magnitude less time and/or data to achieve good results. Joint work with Drew Hudson. Christopher Manning is the Thomas M. Siebel Professor in Machine Learning, Linguistics and Computer Science at Stanford University. He works on software that can intelligently process, understand, and generate human language material. He is a leader in applying Deep Learning to Natural Language Processing, including exploring Tree Recursive Neural Networks, sentiment analysis, neural network dependency parsing, the GloVe model of word vectors, neural machine translation, and deep language understanding. 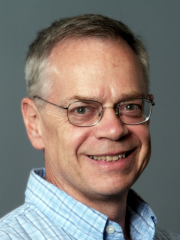 He also focuses on computational linguistic approaches to parsing, robust textual inference and multilingual language processing, including being a principal developer of Stanford Dependencies and Universal Dependencies. Manning is an ACM Fellow, a AAAI Fellow, an ACL Fellow, and a Past President of ACL. He has coauthored leading textbooks on statistical natural language processing and information retrieval. 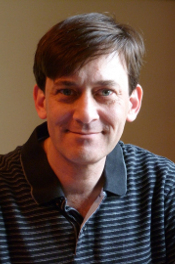 He is the founder of the Stanford NLP group (@stanfordnlp) and manages development of the Stanford CoreNLP software. In this talk, I will present the mission of the Institute, highlights of our educational and research activities, and plans for future initiatives.